This year came the army to Reading in Wessex; and in the course of three nights after rode two earls up, who were met by Alderman Ethelwulf at Englefield; where he fought with them, and obtained the victory. There one of them was slain, whose name was Sidrac. About four nights after this, King Ethered and Alfred his brother led their main army to Reading, where they fought with the enemy; and there was much slaughter on either hand, Alderman Ethelwulf being among the slain; but the Danes kept possession of the field. And about four nights after this, King Ethered and Alfred his brother fought with all the army on Ashdown, and the Danes were overcome. This day in the year 871 was the date of a early victory in the military career of the man who would one day be called Alfred the Great. The Battle of Ashdown, in Berkshire took place on 8 January 871. Alfred the Great, then merely a prince of 21 years age, led King Ethelred of Wessex’s army in a victorious battle against the invading Danes. 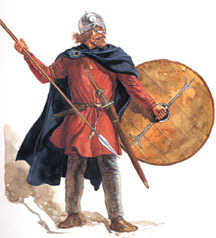 In 870 the Danes were rampant. They had already swept through the Kingdom of Northumbria away then in 869 East Anglia fell. Now they sailed up the Thames and captured Reading. Advancing to Englefield they were halted and given a bloody nose by Aethelwulf, the Ealdorman of Berkshire. King Ethelred and Prince Alfred, arrived with their army and the Saxons were able to force the Danes back to Reading. At Reading however the tide of war turned once more in favour of the Danes. 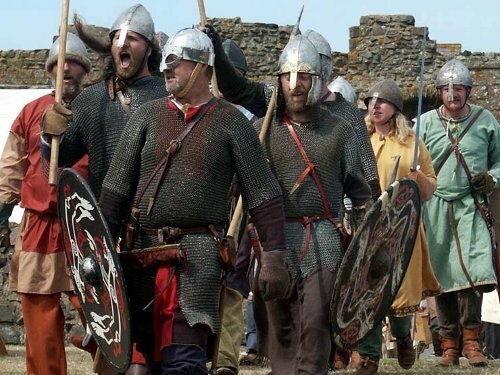 The Saxons were unable to break through the defenses of the city and they were was driven back across Whistley marshes and the Berkshire Downs. The Danes advanced out of the city looking to finish the Saxons. Prince Alfred now acted with considerable vigour in an attempt to rally his brother’s forces. On the downs is a hill called Blowingstone Hill. At its peak is an ancient sarsen stone – “Blowing Stone,” which he used to send out a rallying call across the downs. Then uniting the Saxons he and Ethelred marched out and prepared for battle on the plain of Ashdown. Bizarely at this precise moment, with the Vikings approaching, King Ethelred decided to go to church near by leaving Alfred in command. Under Prince Alfred -1000 men. These figures may not seem large when we think that Waterloo saw 210,000 men engaged BUT in the Dark Ages forces of this size decided the fates of nations. 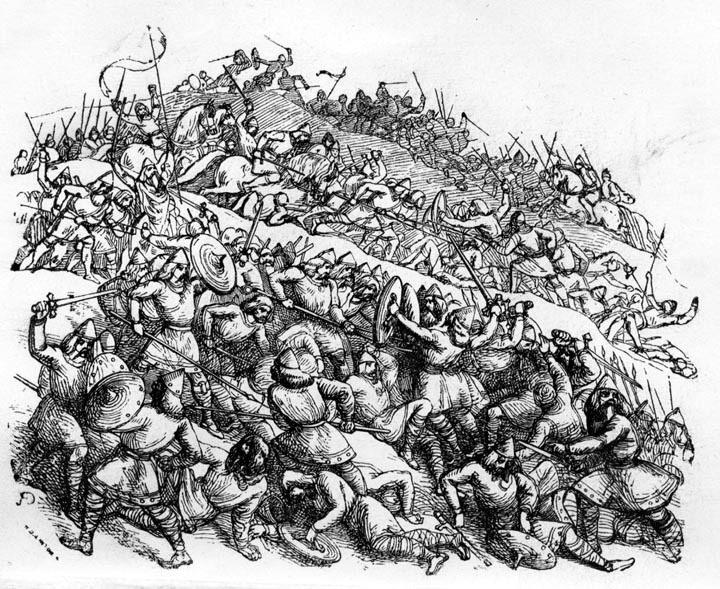 Initially neither army appeared eager to open the battle. The Danes had actually deployed on higher ground and so naturally did not want to leave it. Alfred realized that he must take the initiative and ordered the Saxon shield wall to advance. What followed a brutal battle of attrition with bloody casualties on both sides. 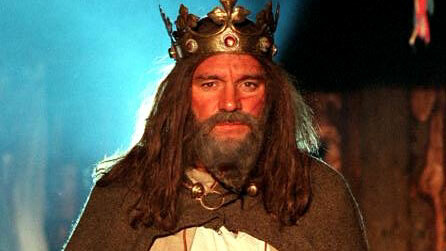 King Bagsecg was killed as well as five earls. With their losses heavy teh Danes fled back to Reading. The chronicles report loses as being heavy on both sides, but while Ashdown was a triumph for Alfred, the victory was short lived as the Danes defeated the Saxons again at Basing and at Merton within a few weeks. At Merton, Ethelred was mortally wounded and Alfred became king. The following year after further defeats Alfred made peace with the Danes. For Alfred there would be many more battles and many more victories and defeats but Ashdown at least stalled the Danes advance through Wessex for a while and kept that kingdom alive. Some of the historical fiction which I have written is set in a remote and obscure period. Writing about the late 6th and early 7th century in The Amber Treasure puts you right in the middle of the darkest years of the Dark Ages. When the last Roman soldier departed Britain in about 417 AD reliable documentation of events started to collapse. The invading Anglo-Saxon tribes were effectively illiterate and it was not until the coming of Christianity (which did not fully pervade England until the late 7th century) that some form of regular record keeping returned. It really took until the time of Alfred the Great at the end of the 9th century for reliable continuous commentaries on the goings on in the land to be kept in the form of the Anglo Saxon Chronicle and other documents. De Excidio et Conquestu Britanniae On the Ruin and Conquest of Britain) by Gildas. Gildas was a monk who lived around AD 500 to 570 in the Dumfries area of Scotland (what was then the British Kingdom of Strathclyde). Much of what we know about the possible existence of Arthur, Vortigern, Ambrosius and so on comes from Gildas. His writing shows the state of chaos and confusion with a land split between half a dozen races and the civilization that had persisted for four centuries collapsing. There are limits to Gildas however. Firstly he had a message to pass on. 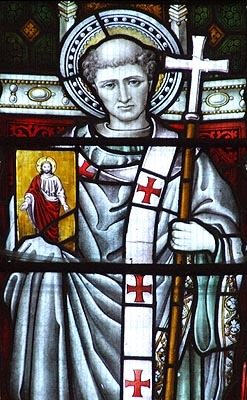 He wrote about the downfall of Britain – the end of Roman rule and the invasion of the Anglo Saxons and very much argued that this was God’s punishment for their sins. More importantly he died around AD 570 – JUST before the period I was writing about. Probably started by King Alfred the Great who at least sponsored and encouraged it, this was a chronicle of events in England and surrounding lands recorded by monks. It focuses on the large events, battles, Kings and Lords and so forth and at first glance would seem to be just the thing. BUT there are limitations to its usefullness. The writers were living in a period over three hundred years after the events they recorded and so were relying on passed on word of mouth or old documents that no longer exist and we cannot validate. 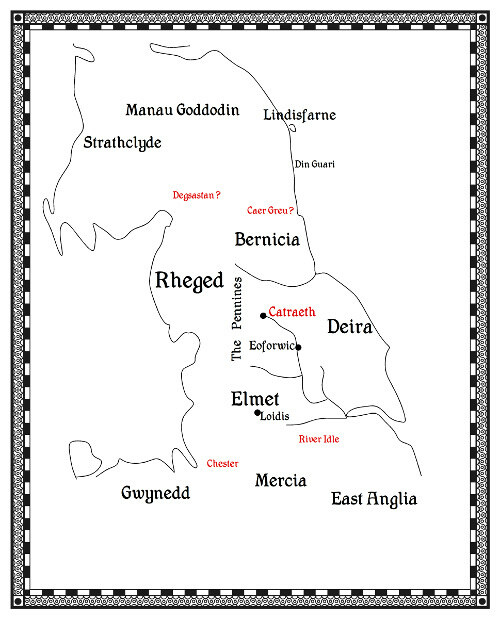 Moreover the Chronicle is south centric – focusing for the most part on the events in the southern kingdoms and little on those in Northumbria where my story is set. This is so much so that the chroniclers seems to just simplify matters by lumping the Royal Houses of Deira and Bernician (the two parts of Northumbria) into one. Fortunately other geneaologies do exisit for this period. The historic Battle of Catreath which did so much to shape the north is not even mention in the ASC. Then again it is not mentioned in many places. Oddly enough it is poetry, not historical documents, that shed some more light on these dark years. The British poets and bards Aneiren and Taliessen witnessed or heard about the great and traumatic moments of the late 6th century. To them it was real life, happening to them and those they knew. Taliessen lived circa 534 to 599 and wrote about Urien and Owain of Rheged. Much of what we know about the struggles between Bernicia and Rheged we read of in his poems. 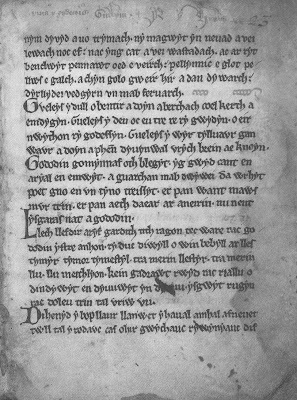 Aneirin was younger – possible a young man in 597 at the battle of Catreath and it was his poem about it – Y Goddodin that is really the only record of the event. The Mammoth Book of British Kings and Queens Mike Ashley takes all the material including a vast number of commentaries and modern books on the monarchies and nations of the last 2000 years and tries to set out a definitive record. It is the most accesible of the reference tools I used. The Age of Arthur John Morris. Written by an academic whose area of expertise was the period 350 to 650 this tries to lay out as fact a coherent history for the period. It ha been widely criticised by historians for relying heavily on interpretation but at least Morris gives us A version of history. The problem with many academics work is there is almost NO attempt to sift the evidence and present an interpretation. Morris has the courage to do that. An English Empire NJ Higham is a work that conducts an analysis of what Bede writting tells us about this period and is a useful commentary although abit limited to Bede’s perspectice. When the ancestors of the English came to Britain they spoke Old German which soon evolved into Old English . 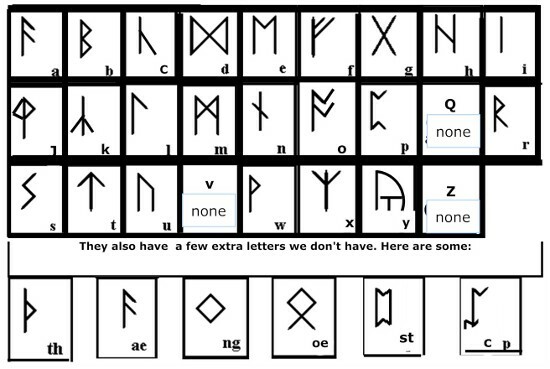 Little of their writings survives but what does was written in a Runic alphabet called the Futhorc after the first letters of their alphabet. The Old English Futhorc originated from the Elder Futhark – the original runic alphabet developed and in use by the German tribes in the early centuries AD. The English tribes brought it to Britain but as the years went by their language and sounds altered. (Linguists call this the consonant shift and is why for example Ein Bett in German becomes a bed in English). With this cam ethe need for new letters to reflect those sounds.So the Old English Runes changed from the German with use. 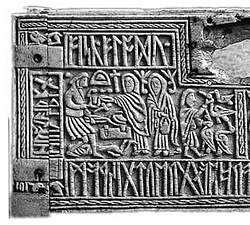 The Runes began to be replaced by Latin characters in the 7th century with the coming of Christianity following the Augustine mission of 597 AD but were maintained in use in monasteries right through to the Norman conquest when they fell out of use even as a historical curiosity – probably all part of Norman suppression of English traditions. Yesterday I started a look at the names we give our weekdays and the links to Norse and Anglo-Saxon mythology with a blog about Sunday and Monday. This is because according to legend as recorded in the Edda (the Icelandic books containing the sagas and tales of the gods), Tyr lost the hand in an encounter with the wolf Fenric. Fenric was running amock and resisting all attempts to be bound. He eventually agreed to be bound IF one of the gods would place their hand in his jaws. Tiw agreed and it was bitten off but Fenric was bound (and will remain so until Ragnarok). The old english Tiwaz rune (the T rune) is associated with Tiw. 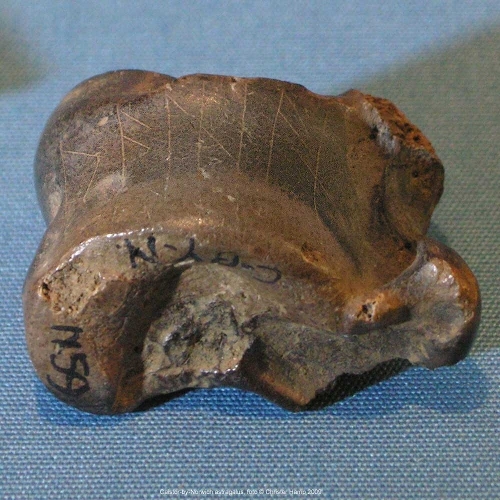 This rune is found on more pots of cremated ashes in burial grounds than any other – perhaps fallen warriors on their way to Valhalla: the pagan Anglo-Saxons putting their faith in the brave warrior god. It is ironic that the mythology of Ancient Greece, Egypt and Rome are more familiar to many people that the ancient stories of the Norse, Anglo-Saxon and Germanic races which are the ancestors of a huge portion of the people in Northern Europe, America and Australasia. This article looks at the Universe as these peoples saw it – as Nine Worlds. 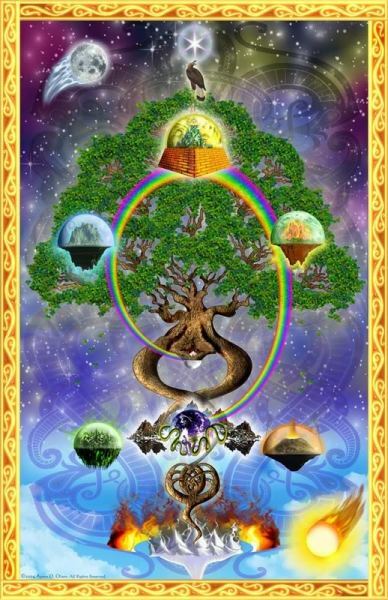 The universe was formed around and supported by a huge tree, Yggsdrasil or the World Tree. 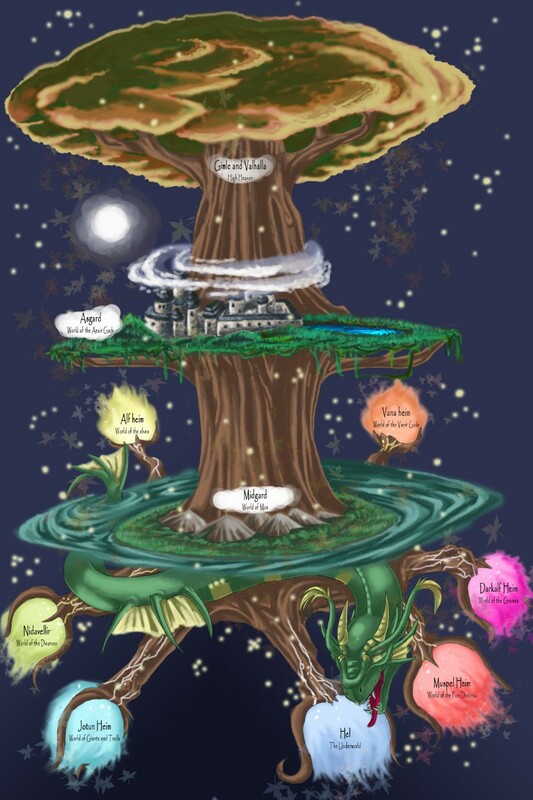 Amongst its branches and roots there were Nine Worlds which were separate but connected by various means. Gods and other creatures could travel from one world to another. 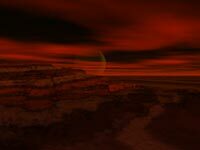 This was the home of the Aesir. The Aesir were a family of gods and goddess. After a war against the other race of gods, the Vanir they became the dominant race. 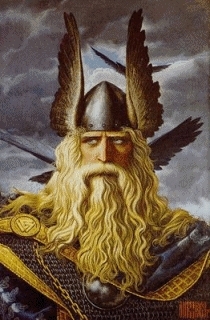 The chief god was Odin/ Woden. For more on the gods you can read an articles about the Gods and another about their symbols. 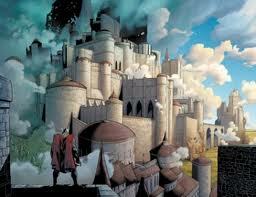 The gods and goddesses built magnificent mansions in Asgard. One of these was Valhalla where men who had died in battle could feast with Woden and fight each other until the end of the world when they would ride forth for their last battle. There is more than one way to reach Asgard but one way is to use Bifrost – the Rainbow Bridge, built from water, air, and fire. The god Heimdall is the bridge’s guardian, and has a magical sword to fight intruders. Bifrost connects Asgard to Midgard and probably other worlds. 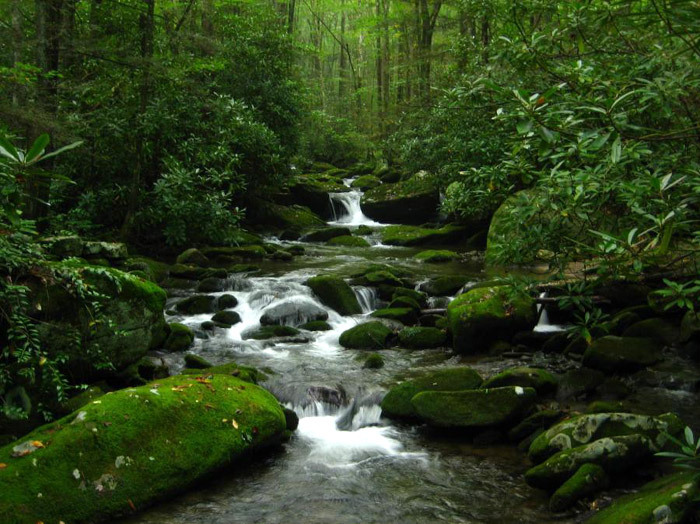 Asgard is surrounded by rivers and another way in is to cross the rivers that separate it from other worlds. The word heim means home. Vanaheim is therefore the home of the OTHER branch of gods: the Vanir. Â The Vanir had mastery over sorcery and magic. In ancient times the Aesir and the Vanir fought a great war. The Aesir won. After the war three Vanir went to live at Asgard. Freyja, her twin brother Freyr and their father Njord. Nobody understood sorcery better than Freyja. 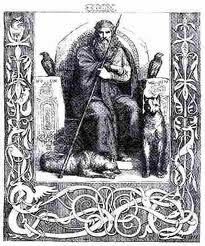 Odin/Woden learnt a lot about magic from Freyja. This was the home of the Jotuns, or the giants and it is a mountainous place. Midgard was supposed to have been created from the body of the first Jotun, named Ymir. The Jotuns and the Aesir were constantlyat war with each other. However that did not mean that attachments and love affairs did not also occur. Both Thor and Odin had Jotun lovers and two of the Vanir also married a Jotun. The god, Loki was a Jotun who was adopted by the Aesir and lived in Asgard but eventually betrayed the gods. The river Ifingr, which never freezes, separates Asgard from Jotunheim. Sometimes in writings about Norse Mythology these worlds are considered to be the same, whilst at other times they are separated. 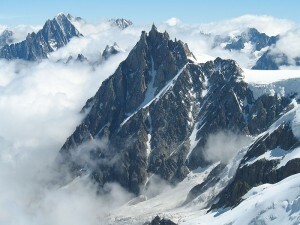 NIflheim was a dark land of mist and ice. 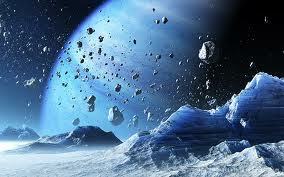 It was one of the two parts of the universe that pre-dated life. Life was formed when Ice from Niflheim met fire from Muspelheim. Hel, a gloomy and grey world was the lowest of all the nine worlds and was the home of the dead and ruled by Loki’s daughter, also called Hel. Humans who died from old age or illness were sent to Hel. It was not seen as a realm of punishment but rather a waiting place before their spirits were reborn and returned to Midgard. Getting to Hel is difficult. It is surrounded by a river crossed by a bridge guarded by a giant. There is a tall wall around it and a gate. the dead can get in easily but getting out is not so easy. 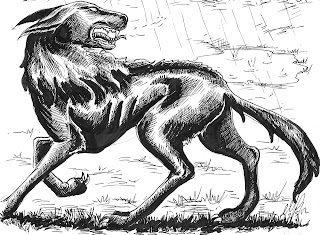 A giant dog, Garm prevents the dead from leaving. Alfheim was the home of the light elves and was close by Asgard. Beautiful creatures, they had a role as the equivalent of guardian angels in Norse Mythology. Its inhabitants are usually friendly to gods and humans although they would take revenge if badly treated. These are another two worlds who are sometimes blended together and sometimes considered separately. 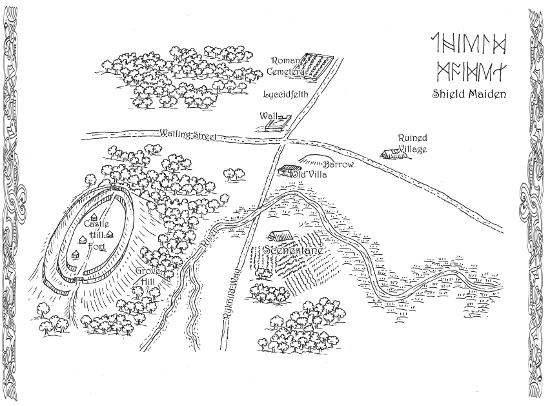 Svartalheim was the home of the drow or dark elves who lived under the ground. Theses were hideous and many believed that dark elves were responsible for nightmares and so another name for dark elves was ‘mare’. If the suns rays touched a dark elf they immediately turned into stone. Nidarvellir this was the home of the dregar or dwarfs. They too lived under rocks and in caves but were masters of craftsmanship. The dregar constructed many of the artefacts of for the gods such as Odin’s spear, his magical ring, Thor’s hammer and belt of strength. The dwarfs also turned into stones if they were exposed to the sun and had a mischievous side. 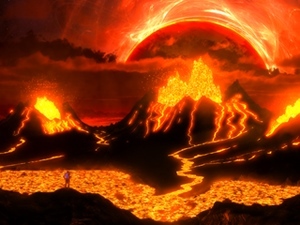 Muspelheim was the other original part of the universe and was the land of fire, populated by fire elementals, fire spirits or giants and ruled over by Surt. During Ragnarok, the end of the world, Surt will attack Asgard with a flaming sword, turning it into an inferno. Midgard is OUR world – the home of humans. Midgard seems to be in the middle of the Nine worlds and all of the other races stray here from time to time and interfere. That is where all the tales come from. 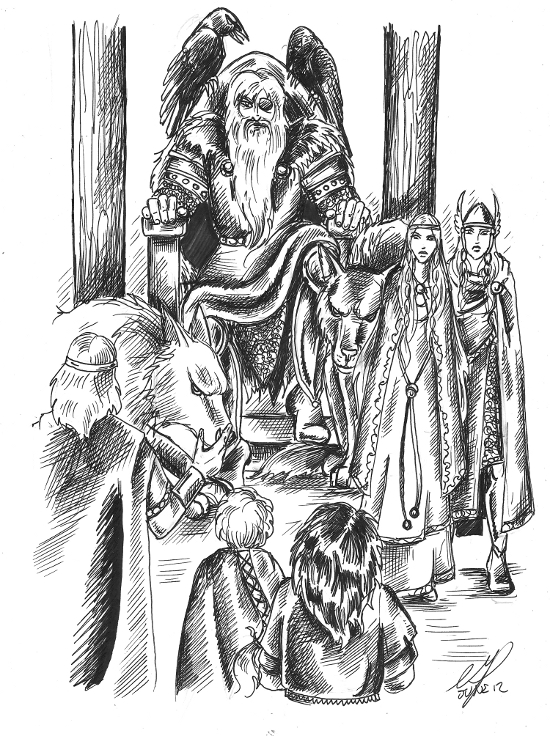 Tales of elves and dwarves and giants, tales of the dead and tales of the gods visiting our world and manipulating events. In my Dark Ages Historical fiction, The Amber Treasure and its sequel, Child of Loki these beliefs and the new Christian ones appear and have influences on the characters and their world. 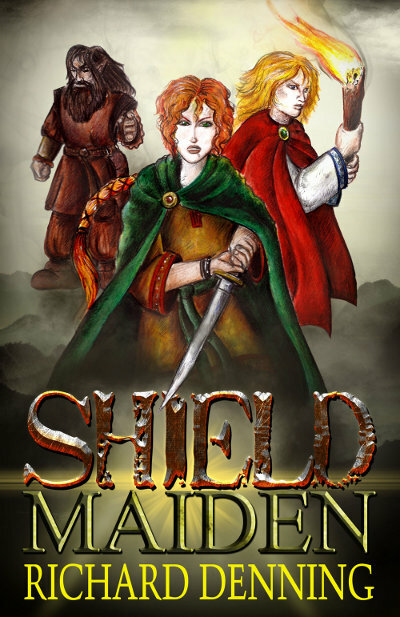 Shield Maiden (Book 1 of the Nine Worlds Series is a children’s historical fantasy set in a 7th Century England where the myths and legends are true. When the Germanic tribes of Angles, Saxons and Jutes crossed the North Sea and began to settle in the former Roman province of Britannia they brought with them their beliefs and religions. It would take three or four hundred years for the Anglo-Saxons to convert to Christianity and in many cases this was undertaken not because of some deep revelation Â or spiritual event but simply and pragmatically for political reasons. Â Many common saxons and indeed a good number of their leaders remained secretly pagan even after baptism and those pagan traditions persisted in to later years and even as far as the modern age in words and names of the days of the week and of towns and cities. It is no surprise that this was the case. Â When the ancient Germanic and Norse peoples started putting names and shapes to many of the striking themes and feelings they encountered in the world they created a mythology of beings of great power that were believed to have direct influence over their lives. This article then looks at the Anglo-Saxon Pantheon- the gods of our ancestors. In ancient norse legends there were once two groups of gods.Â These were the Â Ã†sir and Vanir. The Saxons called the two Â groups the Ese and the Wena. In ancient times the groups fought and in time the Ese won and their chief Woden (Odin) became the king of the gods and the Wena became subservient to him. The Wena are the fertility gods. Woden is the chief God. He is the god of battle and war Â but also an observer of humans who might visit them in disguise.Â Woden’s name is remembered in the day Wednesday which means WodensdÃ¦g (Wodenâ€™s Day.) It also crops up in a great number of place names such as Wednesbury and Wednesfield. Woden’s wife , Frige was the goddess of households and of childbirth. Her name lingers on in our day,Â Friday from the old English world, FrigesdÃ¦g . Thunor (or Thor) is the god of thunder but was also seen as the protector of humanity against threats. His symbol, the hammer, was worn by many common people as a protection. Â Yet another of our days -Thursday is named after Thunor. Tiw was another god of war and was associated with courage and sacrifice in battle. He is remembered in the day Tuesday. Seaxneat wasÂ theÂ god of the sword. TheÂ SaxonÂ name for a long knife – the Seax became the basis for the name of the race – the Saxons. Loki is the god of cunning and tricks. Often seen as manipulating and up to plots. (A theme I use a lot in my books). Male god of fertility and of the harvest . The sister of Ingui-Frea, FreoÂ is the Goddess of love. She is also the goddessÂ of female magic. In laterÂ ChristianÂ times her followersÂ were considered witches and this goddess became a demon. Esotre was a Goddess worshiped during Eostremonath (April in today’s calendar). It was seen as the end of winter and theÂ beginningÂ ofÂ theÂ warm summer months. Â So the celebration was all about rebirth. The giving of Â eggsÂ seemedÂ to have been associated with Eostre. Â So popular was the celebration that the Christian church was forced to adopt the whole festival – linking it to Christ’s passion in the season we call today Easter. Even the egg lingered on in today’sÂ EasterÂ eggs. The festival we now celebrate on 25th December linked to the birth of Christ, is based on various winter festivals. It is close to the Roman winter solstice. It is also the first day of the old Anglo-Saxon year and part of their Yuletide or winter celebration. Roman Britain was Christian. The invading Anglo Saxons encountered the new religion asÂ practisedÂ by the Romano-British or Welsh and the Irish. Yet it was the mission sent by Pope Gregory and led by Augustine to Canterbury in AD 597 that paved the way for the conversion of England to Christianity. The King of Kent at the time. Aethelbert had aÂ ChristianÂ wife. Her wife was a princess from the land of the Franks and probably for political reasons he permitted theÂ establishmentÂ of a church inÂ Canterbury. Â The religion spread across the Anglo-Saxons lands but it would be 100 years before all the English kings would agree to the new religion. Many of them, and many of their subjects clung to the old religions for years after. The Church took to view that it was better or easier toÂ absorbÂ old pagan traditions, use old temples and holy sites rather than try andÂ eradicateÂ them. 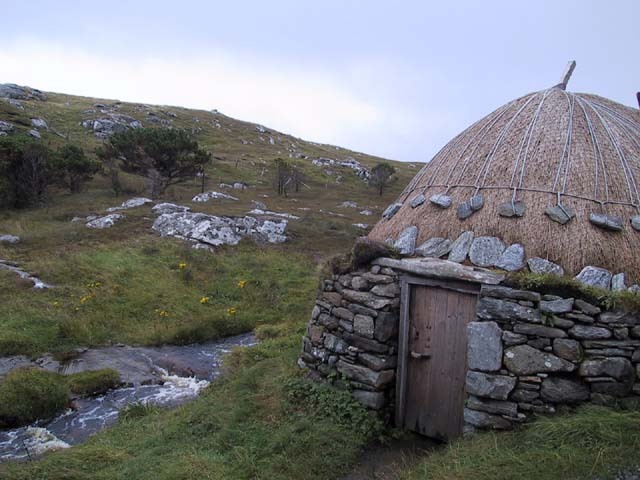 Thus what we have today is a land which hasChristian traditions in which there are echoes of older folklore. Easter andÂ ChristmasÂ both come from Pagan festivals. 4 of our 7 days are named after these pagan gods as well as many scores of villages and towns. 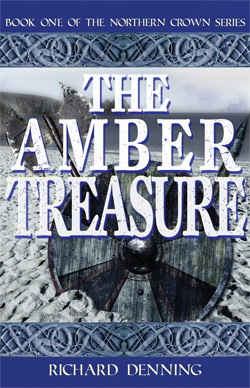 In my Dark Ages Historical fiction, The Amber Treasure and its sequel, Child of Loki theseÂ beliefsÂ and the new Christian ones appear and have influences on the characters and their world.